Kinkakuji (金閣寺) or the Golden Pavilion is definitely one of the most renowned temples in Kyoto and probably very easy to say, in all of Japan. It is also one of the UNESCO World Heritage sites in Kyoto. Of course, as well as the beautiful Kiyomizudera (清水寺), I also visit this place every time I get a chance to go to Kyoto. 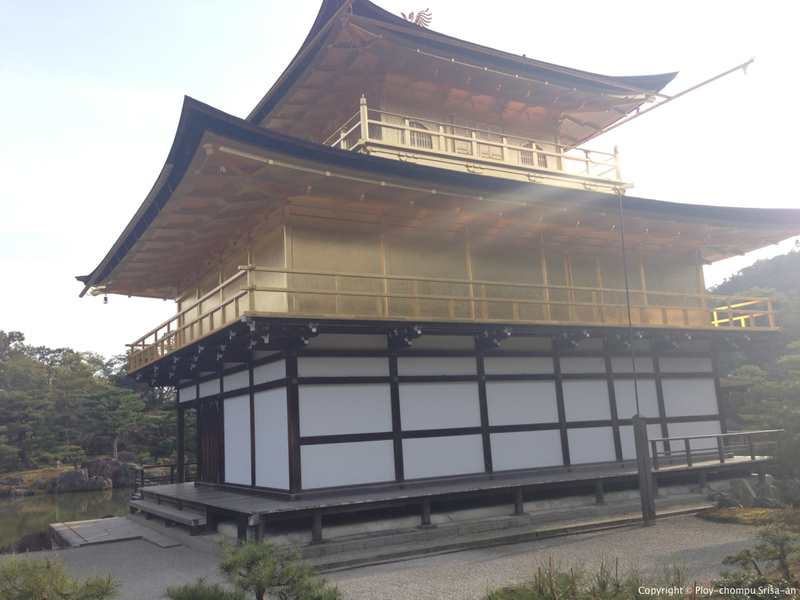 The first time I ever saw this golden pavilion, as many may have been the same, I was amazed by its beauty. 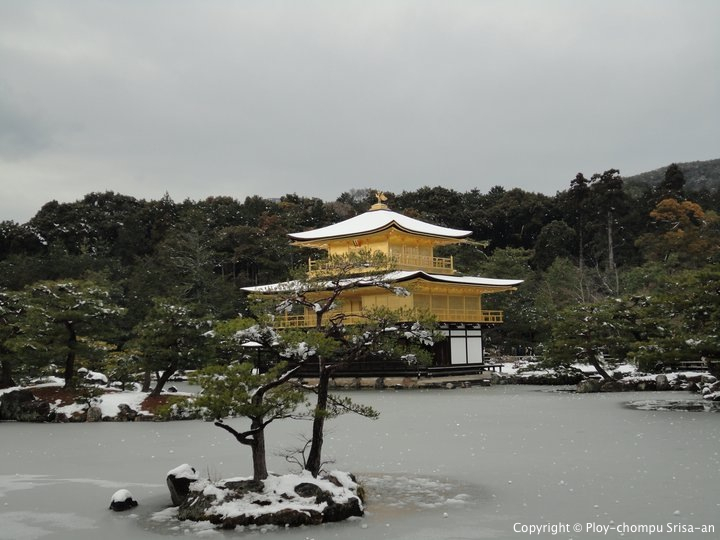 The Golden Pavilion is situated in a garden surrounded by a lake. The shadow of the pavilion reflects in the calm water creating a very picturesque sight. It is undoubtedly one of the most beautiful landscapes in Kyoto where you can take post card-like photos and enjoy its beauty and peaceful surroundings. Even in winter, the place is just breath-taking. I luckily got a chance to visit during winter holiday as well. After viewing the amazing Golden Pavilion, you will find a trail to the back to the temple where it is surrounded by garden and forests. During my latest visit, I also noticed a tea house in the back of the pavilion near the exit after I came out from the trail. It seemed like a lovely place to enjoy an afternoon tea. Other than Kinkakuji, there is also a temple very similar to Kinkakuji but instead of gold, it is a silver one called Ginkakuji （銀閣寺）. This one is another beautiful temple worth seeing. But all in all, if you visit Kyoto and not go to Kiyomizudera or Kinkakuji, you are missing some wonders of Kyoto! 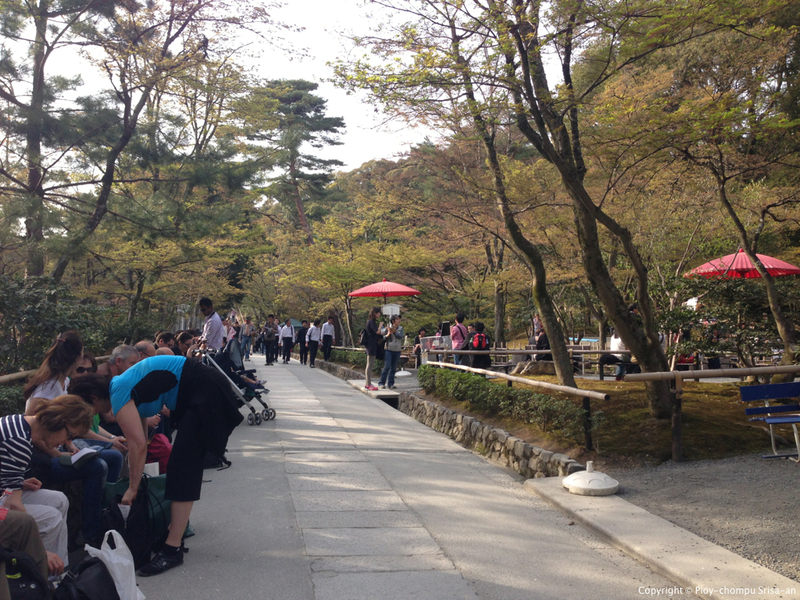 How to get there: From Kyoto station, take a bus number 101 or 205 to Kinkakuji-mae (金閣寺前). The ride is about 40 minutes. It can take a bit long so alternatively, you can take a train to Kitaoji station （北大路駅）via Karasuma subway line (烏丸線). 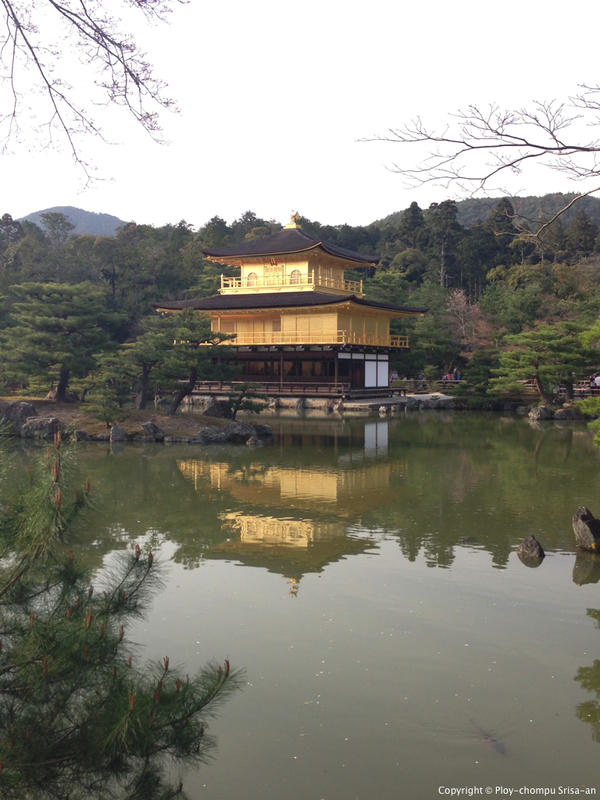 The Golden Pavilion is very beautiful, reflected in the water …..with the trees in the background. And it is just as beautiful in the ice and snow.